Nose: Very restrained on the nose at first with vanilla, toffee and some candy sweetness. With time flavours of apricots, candied fruits and subtle coconut emerge, nicely mixed with hints of barley, heather, tender herbal notes (thyme) and oak in the back. Palate: Full and rich on the palate. Sweet and fruity with butterscotch, custard, cookies, candies and lovely apricots. This is complemented by significantly warming spice - oak, ginger, pepper, and a whiff of cinnamon. Honey and creamy vanilla nicely intermingle with subtle herbal notes and roasted almonds towards the finish. Finish: The finish is medium long, slightly sweet and warm with tender dry oak, ginger and honey, lovely mixed with hints of rose petals on the tail. With water: With a few drops of water the fruitiness slightly turns into candied fruit with vanilla, subtle roasted almonds and caramel notes. Lively and vibrant on the palate with ripe yellow fruit, apricots and peaches, and a significantly tamed warmth due to the reduced spiciness of oak and ginger. The finish is medium long and dry with oak, acacia honey and lingering notes of rose petals. Comments: This is a restrained, even shy but very sophisticated dram and needs a significant amount of time to develop its full aroma. Smooth, sweet and lovely balanced with yellow summer fruits and delicate oak spice. Feels a bit young lacking some complexity, but the candy taste sensation they've planned to evoke is always present. This charming malt brings back my childhood memories when entering this lovely sweetshop in our village. Well done Dr. Lumsden! I thank Jürgen Schneider from the Whiskyhort for the sample and Joe Seidel from Joe's Malt Shop for the photograph! Nose: Fruity start on the nose with delicate nectarines, apricots, apples and a touch of lemons. 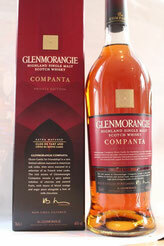 Very sophisticated with sweet notes of caramel, soft spices, lingering oak and a whiff of smoke in the back. Palate: Lovely caramel notes with sweet Demerara sugar, complemented by a warming spiciness of oak, ginger, aniseed and a touch of cinnamon. Delicate nutty flavours emerge, mixed with milk chocolate and a touch of peat smoke towards the finish. Finish: The finish is medium long, soothing with a nice malty sweetness, lingering nutty flavours and a slightly earthy touch with a hint of peat smoke on the tail. With water: Significantly less fruity on the nose with a splash of water, while the caramel note's coming to the fore. Delicate milk chocolate emerges with soft spices and a hint of smoke. The sweetness of caramel and chocolate is still present on the palate with a slightly tamed spiciness. Prickling oak, mixed with a delicious nuttiness, barley sugar and slightly earthy notes in the back. The finish is medium long, warm, with a creamy oak flavour and a hint of peat smoke. Comments: This is a very tasty dram. Classic Glenmorangie style with a sophisticated fruity flavour profile, accompanied by an uncommon peaty and smoky touch. The Amontillado cask influence is subtle but obvious. Lacks a bit of complexity. Nevertheless, a very restrained and savory dram. I thank Joe Seidel from Joe's Malt Shop for sample and photograph! Nose: An intriguing sensation of sherry flavours, deliciously mixed with dark fruit, plums in particular, and luscious oranges. Treacle toffee and vanilla custard arrive, complemented by delicate milk chocolate and notes of fresh coffee. Fine cinnamon and tender maple syrup with a considerably roasted edge in the back. A smooth and gorgeous nose! Palate: Soft and creamy with lots of ripe plums, sweet vanilla custard, followed by lingering and warming spices - cinnamon, oak, and a hint of white pepper. Then a massive load of dark chocolate arrives, superbly mingling with notes of orange peel and cocoa towards the roasted slightly bitter sweet finish. Succulent and very delicate! Finish: The finish is long, deliciously sweet and creamy. Sticky plum jam, with traces of blackberries and orange peel. Silky aftertaste with cinnamon and slightly dry oak. Smooth and rich. With water: Fresher and the nose with a few drops of water. The chocolate flavour becomes more prominent taming the sherry aroma and the fruitiness. Creamy but signficantly intense on the palate with a massive load of hot spices - oak, cinnamon and black pepper. Dark chocolate lingers towards the finish with a delicate fruity sweetness in the back. The finish is slightly shorter. Stays sweet with a warm aftertaste of oak, spices, and gentle notes of walnuts. Comments: This is a brilliant dram. Utter satisfaction! A fantastic balance of sherry, fruit, rich spices and roasted aromas, with a smooth, soft and syrupy texture. The unique roasted chocolate barley malt has added another dimension of flavours making this beauty a perfect dessert whisky after a good meal. Sublime and complex. Sit back, relax, and enjoy this gorgeous malt! Nose: An overwhelming sensation of winter berries, delicious fruit - Sevilla oranges, tangerines and peaches - along with a slightly bitter touch of citrus. Zesty and sweet. Gentle toffee notes and a bit of caramel arrive, mingling perfectly with subtle cereal notes, sandalwood and lingering oak, nutmeg and pepper. The mild sweetness of the port is shining through in the back. A gorgeous nose! Palate: Sweet and fruity. Thick with a silky mouthfeel. There's luscious Sevilla oranges and tangerines, complemented by Turkish delight, barley sugar and an intense spiciness with cloves, pepper, cinnamon and nutmeg. Lingering blossom honey emerges with gentle vinous flavours and subtle cereal notes. Dark chocolate and slightly bitter orange peel mingle towards the finish. Succulent and extremely delicate! Finish: The finish is long, deliciously sweet and creamy. Red fruit syrup, with traces of orange and herbal honey. Silky aftertaste with dark chocolate, dry oak, walnuts and gentle nutmeg on the tail. Smooth and rich. With water: A few drops of water emphasize the fruity character with more tangerines and oranges on the nose and a delicate touch of dark chocolate. On the palate, water brings the spiciness of this dram to the fore. Bold and intense with a tamed fruitiness and lingering flavours of chocolate and walnuts. The finish is long, fruity and sweet with a warm aftertaste. Comments: What a dram! 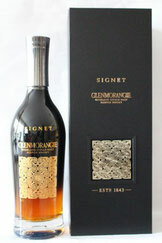 I was very pleased by the depth and multi-layered aromas combined in this delicious Highland whisky. Very smooth and tasty with good texture. Complex and well balanced with sweet, fruity and spicy flavours. A delightful whisky, crafted to be savoured and enjoyed every day. I love this port cask finish, perfect for my palate. Nose: An intensive fruity start on the nose with red berry notes of strawberry, red currant, gooseberry and luscious red grapes. Then slightly musty aromas arrive with damp wood, fungal and earthy notes. This is followed by fine toffee and delicate nougat, along with roasted almonds and black pepper in the back. Well-layered and aromatic. Palate: Rich and bold. A huge palate with a massive spice note of cracked black pepper, red chilli, crystallised ginger, and a touch of leather's coming through. The fruitiness continues, however, with significant less intensity compared to the nose. Lingering notes of chocolate and almonds emerge with a whiff of smoke towards the finish. Succulent and deliciously complex. Finish: The finish is long and dry with a liquorice character, echoing all the inviting aromas of fruit, chocolate and spice. Oily and mouth-coating with an underlying moist oak note on the tail. With water: A few drops of water emphasize the fruity character on the nose and palate, with less earthy and spicy notes, especially on the tongue. The finish is long and sweet with pleasant barley sugar, prickling oak and lingering spice. Comments: A very complex dram. Enjoyable, rich, and full of lovely red wine derived flavours which pleasantly mingle with the spicy, earthy, nutty and chocolatey notes of this beauty. 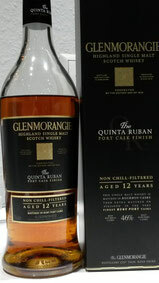 An excellent dessert dram, very calming and truly sublime. 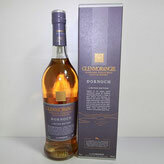 As this one seems to be one with the lowest collectible value of Glenmorangie's Private Edition it is still worth purchasing a bottle of this fantastic whisky before prices increase.